Copyright © 2018 the Florida State University Museum of Fine Arts. Some rights reserved. Use of text and images in which the Museum holds the copyright is permitted, with attribution, under the terms and conditions of a Creative Commons License.  Copyright and other proprietary rights in material on this site may be held by individuals or entities other than or in addition to the Florida State University Museum of Fine Arts. The Museum does not warrant that the use of materials displayed on this site will not infringe on the rights of third parties, such as artists or artists’ heirs holding the rights to these works. It is your responsibility to determine and satisfy copyright or other use restrictions before copying, transmitting, or making other use of protected items beyond that allowed by “fair use,” as such term is understood under the United States Copyright Act. The Museum is currently researching works that are protected under copyright and contacting artists for permission to use their works. If you can provide contact information for the artist or his/her estate, please contact us.